The Niseko United Ski area is the largest ski resort in Hokkaido Japan. Niseko is famous worldwide for its powder snow with an average snow fall of over 14 metres and has some of the driest and lightest snow in the world with the season running from December to April. Niseko really has it all for your skiing/snowboarding holiday, perfectly groomed runs, epic parks, the area also boast some amazing off piste , side and backcountry touring where you will be able to get neck deep in the powder snow Niseko is famous for. Not to mention the thrill of Hiking the famous Yotei mountain a must for any backcountry enthusiast . 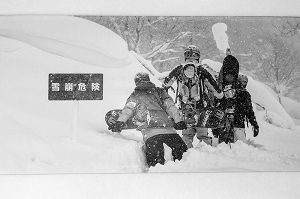 Niseko caters for all with numerous ski/snowboard schools, kids clubs, private lessons, guided tours, day trips , backcountry , side country, snow mobiling, cat skiing and even Heli skiing as well as having the world’s largest night skiing you are sure to get your share of powder filled days. You will find that most of these services are offered in English which is a massive bonus if you don’t speak the local lingo. If skiing is not your thing there is plenty of cultural activities and onsens (natural hot springs) in the area. Not to mention the Food, Hokkaido is famous in Japan for the abundance of fresh seafood and produce. Dining out is really one of the highlights of visiting this area with over 200 dining options you are bound to experience the diverse range of foods on offer and experience some of the local culture if you dare to be adventurist and dine in the surrounding local town. The area boast great restaurants, après ski, live music, nightclubs and a variety of small bars to keep you entertained after the night skiing lights are turned off. 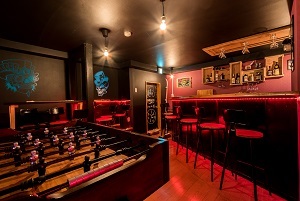 Of course you have to try Karaoke while in Japan there are a few places in the Niseko Area which offer this or otherwise venture into the nearby town of Kutchan and make like a local. Go to one of the numerous karaoke bars or check out one of the numerous restaurants in the area serving up local specialty’s and hospitality. Niseko is a great area to use as a base and discover the surrounding mountains on day trips. Hire a car and explore it for yourself or hire one of the many experienced guides in the area who will be able to find the best powder and get you off the beaten track. With over 5 different mountains within a 1-2 hours drive Niseko really is the ideal location to be based. Freeride lodge is centrally located and a great place to use as a base to discover everything Niseko Has to offer . Ideally located in Higashiyama(Niskeo Village) this area has some of the steepest fall line in the area and quick access to the back bowls so you can get knee deep , neck deep in the powder snow Niseko is famous for. 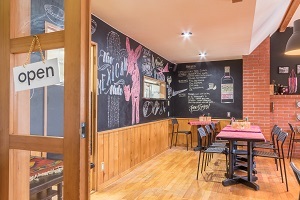 With easy and fast access to the great lift system that connects the whole of the Niseko United Ski Area . You will be riding Annupuri, Niseko Village (Higashiyama), Grand Hirafu and Hanazono all in one day and on one lift ticket. If you purchase an all mountain pass you can also enjoy night skiing and free shuttle buses in the ski area on this same ticket. Come and checkout Niseko the ultimate snow destination. Bring your snorkel!